The French arm of Microsoft has stated that there will be no new Xbox 720 console released before the end of the year. The marketing director of Microsoft France, Cedrick Delmas says the Xbox 360's life-cycle is not over and that it has no intention of rushing out a competitor for the Nintendo Wii U in time for Christmas. When asked about the new Xbox for E3 rumors he told Lepoint.fr (translated): "We're in an industry that talks a lot, that likes telling stories. I am not convinced that things will happen this year. 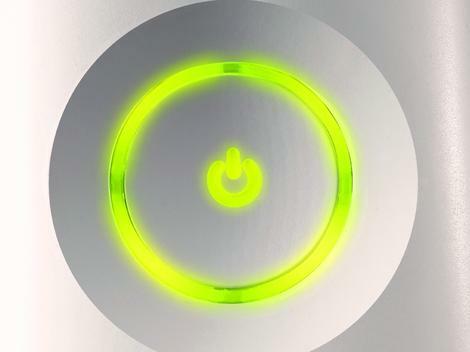 The Xbox 360's cycle is not over at all. The proof is that we haven't price cut this year. "Afterward, what will happen at E3, it's still too early to say. What's certain is that there will be nothing new in 2012. If we wanted to counter Nintendo, we would have to be in a position to release something immediately, and that is not at all the case. "We're not here to counter Nintendo and they're not here to fight the other manufacturers. Nintendo has put itself in a different cycle, it's going forward to its own rhythm, with success as we have seen with the Wii, and now it's their turn to present their innovation." Delmas' comments suggest that Microsoft does indeed have something up its sleeve for the annual E3 expo in June, but will bide its time until 2013 before making the console available. Nintendo recently promised to have the Wii U on sale by the end of 2012 and is likely to unleash a largely improved iteration of the device than that which was on show at E3 in 2011. With no real rumblings of a PlayStation 4 launch, even in 2013, it looks like Nintendo will have a clear shot at the Christmas market with the console so crucial to its future prosperity.